Irish lilt mixed with the attitude of early UK punk was what initially fueled the The Pogues. Fronted by the infamous Shane MacGowan, The Pogues lifted traditional Irish music out of the gutter of its past injecting it with a strong dose of piss and lager. Anchored by the crossover Christmas ballad “Fairytale of New York”, the Steve Lillywhite produced lp If I Should Fall from Grace With God was the band’s clarion call, and mainstream breakthrough. Aided by singer-songwriter Kirsty MacColl on vocals, MacGowan’s writing and delivery on “Fairytale” are in top form, swimming in cigarettes and Guinness. A classic that began as a wager. Pî³g mo Thî³in, indeed. Awesome! this, Emerson Lake and Palmer, and John Lennon’s, “And so this is Christmas” are must listens every year! Hey, how great was Kirsty MacColl on this? 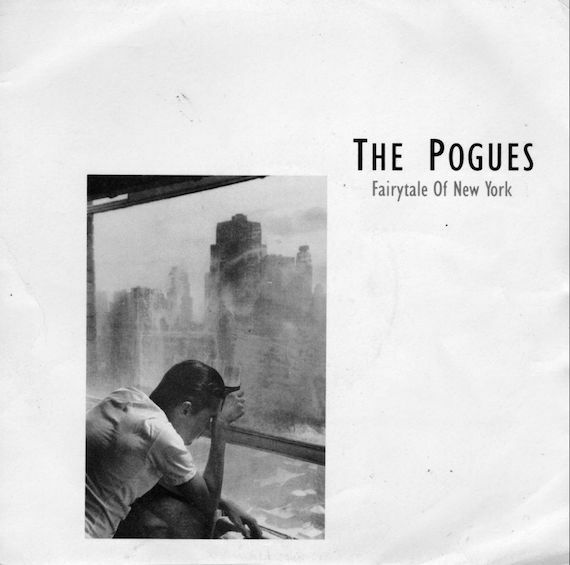 I have another Pogues version of this given to me by a friend–all electric distortion and punk noise–but I have no idea when it was released. Was it on the original single? Never mind. I just listened to the punk Fairytale. I’m a schmuck–it’s not the Pogues. Not them at all. It’s a cover. Seriously dudes, what movie!!!!??? It’s still nagging at me days later over here. for matthew – no use for a name did the cover you’re probably thinking about. The video is a spoiler for the movie – scene close to the end. your taste in music is like a conspiracy that it’s consistently favorites of mine too. Love this blog.